Without a doubt, fans of the Pirates of the Caribbean movies are looking forward to the latest instalment in the series. Pirates of the Caribbean: Dead Men Tell No Tales opens next May, and is bringing back Johnny Depp as the opportunistic pirate captain Jack Sparrow. Also Orlando Bloom will reprise his role as Will Turner, while Oscar-winner Javier Bardem plays Sparrow’s new nemesis Captain Salazar. Other members of the cast include Brenton Thwaites who plays Henry, a man who is searching for his father Will Turner, and Kaya Scodelario, who’s the movie’s leading lady and Henry’s love interest in Dead Men Tell No Tales. But it’s hard to forget one actress who made such a great impression in the first three Pirates of the Caribbean movies, but who was missing from 2011’s Pirates of the Caribbean: On Stranger Tides movie. This is none other than Keira Knightley, a performer audiences are familiar with due to her roles in other high-profile films like Atonement and Last Night. And thankfully it is now confirmed that Knightley will be playing a part in directors’ Joachim Ronning and Espen Sandberg upcoming Pirates of the Caribbean: Dead Men Tell No Tales. 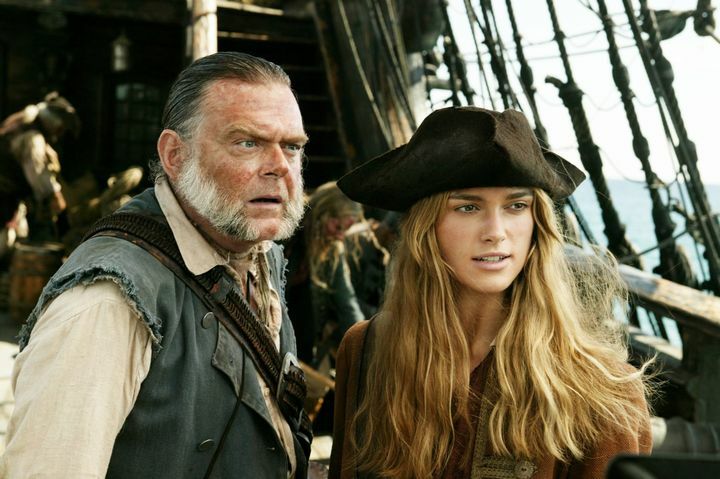 Actually, she appears in the latest international trailer for the movie reprising her Elizabeth Swann role from the first three movies, albeit very briefly (see below). So we don’t yet know what the extent of her role in this new Pirates film will be, but it’s still a good thing that one of the most attractive characters from the earlier movies is returning for this latest instalment of Pirates of the Caribbean. And it would be a great thing if this turned out to be another great entry in the long-running series and one that lives up to 2003’s The Curse of the Black Pearl, still the best Pirates movie to date. Note: Pirates of the Caribbean: Dead Men Tell No Tales will be released on May 26, 2017.